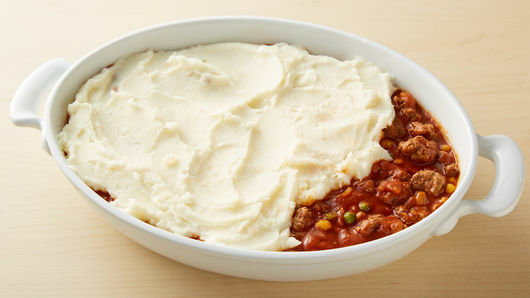 Sprinkle 1/2 cup shredded Cheddar cheese (2 oz) onto mashed potatoes before baking for a cheesy topped Shepherd's Pie. A main-dish pie is a great way to use leftovers, take advantage of cooked broccoli, green beans, carrots, or other veggies you have stashed in the fridge in place of frozen vegs. 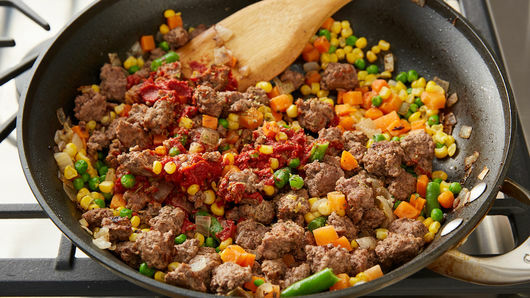 Ground beef is the usual, budget-friendly go-to for weeknight meals, but stock up on other ground meats when they’re on sale. Ground turkey or chicken, or a mixtures of ground pork or sausage (a bulk mild or spicy Italian sausage would be great here) all cook up beautifully in a meat pie. Refrigerated mashed potatoes are terrifically easy, but so are mashed potato flakes. Use a roasted garlic flavored or stir some sharp cheddar cheese into the potatoes before spreading them over the casserole. If you aren’t sure about the volume (how much the dish will hold) of your casserole dish, pour in measured amounts of water to be sure you won’t overflow it with the pie filling. All the ingredients are fully cooked before layering them together in the baking dish, so you’re just heating them up until hot and aromatic. 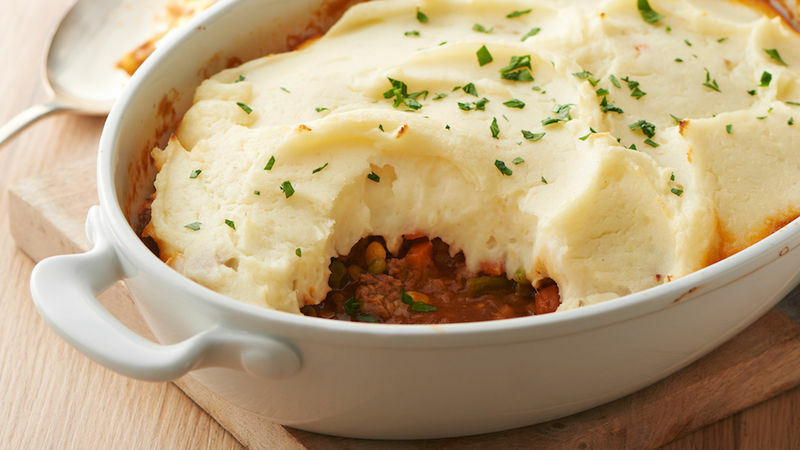 Whether you call it shepherd’s pie or cottage pie, it will take just one taste to call this recipe “delicious.” While it seems like a super-trendy new dish, shepherd's pie has long been a go-to comfort food in the British Isles. Streamline your own version by using refrigerated garlic mashed potatoes and frozen mixed vegetables, then add any leftover proteins or veggies you happen to have. Check out your fridge, freezer and pantry for whatever is on hand, and it will probably find a happy home in your dish. Use a variety of leftover mixed vegetables like carrots, corn, onions. 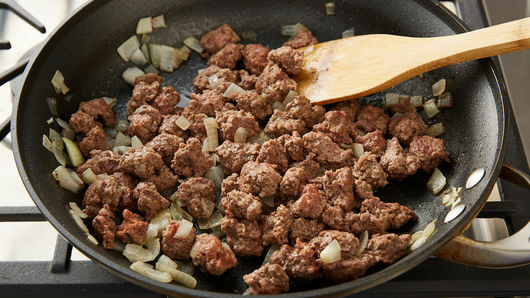 Sub out the ground beef for cooked chicken, ground turkey or meat substitute. Looking for more creative recipes for mashed potatoes? Cooking with potatoes is not only fun and easy, but the “blank canvas” for the tender spuds allows you maximum creativity and inspiration. Looking for more creative recipes for mashed potatoes? Check out all of our delicious side dishes, dinners and more.